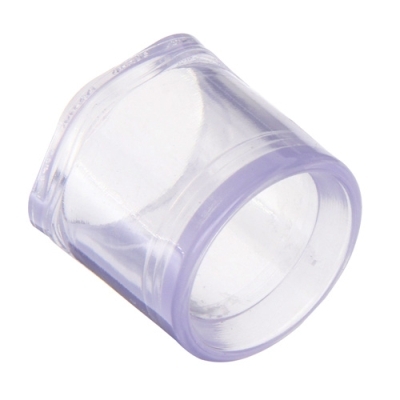 1-1/2" x 1-1/4" Clear Schedule 40 PVC Reducing Bushing | U.S. Plastic Corp. The smooth interior surfaces of these couplings permit maximum flow rates and minimize accumulation of sediment. These clear PVC bushings (spigot x slip) are recommended for consideration in food and pharmaceutical plants, laboratories, hospitals, electroplating, photofinishing, and chemical installations.